Taj Mahal, India’s heritage site and truly a wonder of our world. It is at its very core a symbol of a man’s love for his wife, learning very detailed historical information from our able guide. I was both spellbound and speechless. As a child, I remember experiencing the Taj with wonder and amazement. As an adult, I appreciate the pain and patience of the artisans who built it some 350-odd years ago. As a kid I was awestruck by the notion of an empress’s mausoleum; the grown-up version of me was blown away by its beauty. Ironically, those are some of the same adjectives I’ve used to describe Apple and its products. I don’t necessarily want to equate the majestic Taj with mere machines, but they are undeniably similar. 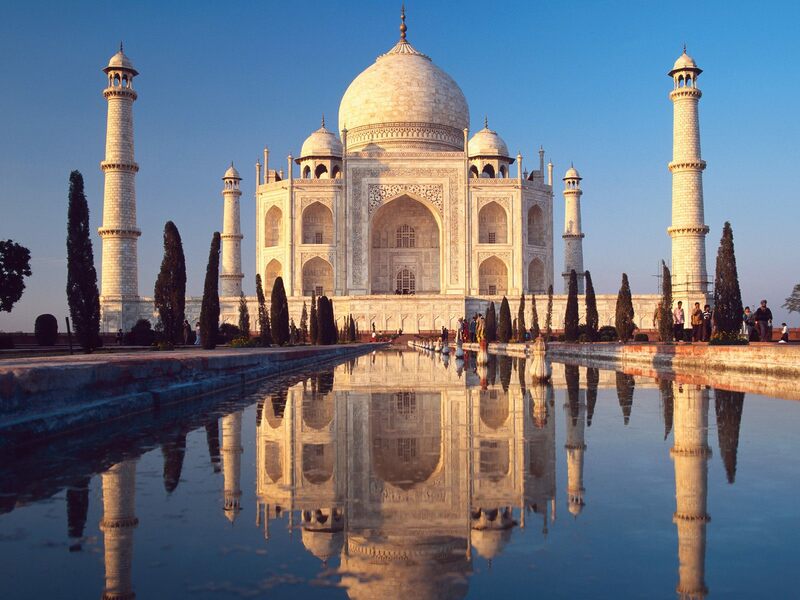 For instance, Taj has intricate flowers and fauna carved into marble and filled with coral, onyx and jade. The three-dimensional nature of these patterns were repeated thousands of time without a blemish. The geometrical symmetry of the complex extends from one corner to another. Even the shadow reflected in the pool in front of the Taj is perfectly symmetrical with the building. Emperor Shah Jahan had a perfect replica of a mosque created to give balance to the whole complex. The four minarets lean out just ever so slightly so that in the unlikely event that they do fall, they won’t damage the main building. Now that is some attention to detail. The Taj is a collection of small perfections that add up to one large perfection, a treasure that cannot adequately be captured by words, photos, eyes, or even the human brain. It was one man’s vision, brought to life by thousands of others who worked tirelessly over a period spanning more than 20 years. There will be nothing like it ever again. If you had to pick a modern, and technology-specific, analogy of this high ideal, it would be Apple. Like the Taj, where the architects used a double dome to cool the tomb, and elegant air ducts to circulate the cooling air throughout the entire building, the company has combined form, function and art to come up with perfection. Steve Jobs and thousands of Apple staff have spent more than 25 years trying to create machines that pay similar attention to minor things, sometimes seemingly useless ones. The ability to create Wi-Fi networks comes to mind, as does the ability to zoom in to better view documents. The aluminum unibody of the MacBook Air seems like little more than a beautiful design feature until you realize it’s used to cool the entire machine — just like the double domes and air ducts of the Taj.